But no other band holds the earth-shattering status commandeered by John Lennon, Sir Paul McCartney, George Harrison, Ringo Starr -- the most successful band in the history of rock and pop music. It all started at a church picnic in a suburb of Liverpool way back in 1957, long before the tumulus 60's, the British Invasion, or even the Vietnam War. Lennon and his group, the Quarrymen, were playing their Skiffle music for the church folks at the picnic. Skiffle was a form of jazz popular in the U.S. during the 20's and 30's that experienced a small-scale renaissance in Britain during the 50's. It was a kind of fusion of blues, ragtime, and folk music, along with some improv. Lennon met McCartney there, and later asked him to join the band. Lennon and McCartney wasted no time starting to write songs as a team, and by the end of '57, Lennon allowed McCartney to bring Harrison into the band, as well. They changed the band's name from the Quarrymen to Moondogs in '58, and in 1960 they added Stu Sutcliffe on bass. Sutcliffe couldn't actually play a lick of music, but did happen to have a knack for art. He sold a painting, made some money, and the band happened to need some equipment upgrades at the time. It was fate in the form of a pocketbook. By then, they had renamed the band again to the Silver Beetles, but the "Silver" got the ax within months, and soon "Beetles" became "The Beatles" and that finally stuck. Sutcliffe's other notable contribution to the band was his groundbreaking decision to wear his hair long and shaggy. That became the hallmark of The Beatles (and undoubtedly set the grounds for countless arguments between teens and their parents, students and their schoolmasters, and players and their coaches over the next several years -- until they learned to fight over other things The Beatles stood for like peace, love, drugs, the War, and vegetarianism). Originally, a forklift driver named Tommy Moore played drums, but that only lasted for about a month in 1960. Pete Best took his place, and the band begin playing outside of England, making four trips to Hamburg, Germany. Harrison was not yet of age, and managed to get himself deported in December of '60 for his minor status and his lack of a work permit. But those trips did net them enough stage time on the Hamburg pub scene to give them something of an audience of admirers. The Beatles did lean some on the popular music of the time -- borrowing heavily from Chuck Berry, Little Richard, The Everly Brothers, Carl Perkins, and Buddy Holly, at the beginning, but delving into writing and performing their own stuff from quite early on. In fact, they broke the mold for bands busting on the scene with only cover music. They paved the way for new bands to bring their own work to the table from the get-go. Catch their ear with the recognizable riffs of Holly and Berry, and keep them enthralled with originals like "All You Need is Love" and "Love Me Do." In February 1961, they played what would be the first of almost 300 performances at the Cavern in Liverpool. In April of that year, they returned to Hamburg. Sutcliffe bowed out of the band, and McCartney put down his rhythm guitar and took over on bass. They went back home as a foursome. Tragically, within a year, Sutcliffe, who remained in Hamburg to pursue his art career, suffered a fatal brain hemorrhage. Though considered one of the least known Beatles, Sutcliffe is actually credited with coming up with the name "Beetles," which was derived from his admiration of Buddy Holly's band, The Crickets. (Get it? Crickets? Beetles?) Unfortunately, he wasn't the only Beatle to die too young and too tragically. In November of '61, while playing one of their regular gigs at the Cavern, Brian Epstein caught sight (and sound) of The Beatles. He was a record store manager who also wrote a music column. By early 1962, he'd convinced the band to sign him on as manager. Also that year, at the bequest of Lennon, manager Epstein dismissed drummer Pete Best and instilled Ringo Starr as the group's percussionist. Starr stuck. By 1964, The Beatles laid claim to all five of the top slots on the Billboard Singles chart. The band stayed together officially from the signing of their first studio contract in 1962 to Lennon's departure in 1970, (which is how Starr ranks "original member" status) although they played together more or less as a group for four years before that first contract. Lennon actually told the band privately that he was leaving in September of 1969, but it wasn't made public until McCartney made the official announcement that he was leaving the band in April of '70. "I think it was time for John certainly to leave. It was a bit of a shock to all of us, he just announced 'oh I am leaving the group'. We all said 'are you sure about this?' We tried to keep it together but he was definitely going to leave, so that was basically what did it ... But I think, in a way, then we realized that we had come full circle, we had kind of done everything we wanted to do ... So in actual fact it wasn't that bad a thing ... She [Ono] certainly didn't break the group up ... The group was breaking up and I think she attracted John so much to another way of life that he then went on to, very successfully, add a sort of second part to his career, writing things like 'Imagine' and 'Give Peace a Chance'. I don't think he would have done that without Yoko." All told, The Beatles stand firmly as the best-selling band in the history of rock-n-roll music. They've laid claim to over a billion album sales worldwide, and sold more singles in the UK and made more number-one hits on the British charts than anyone else. In the UK, they have sold approximately 800 million albums, including both physical and digital formats. Their overwhelming success is without borders. 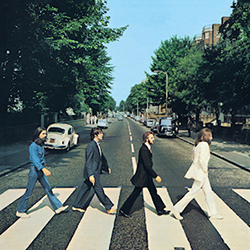 The Beatles stand as the best-selling musical group in the US, as well, with 178 million certified sold units. In 2008, they were crowned the all-time most successful musical artists by Billboard magazine. Currently, they stand as the band holding the most number-one hits on the Hot 100 chart, with 20 such hits. Their seemingly endless list of awards and recognition includes Grammys, Academy Awards, and no fewer than fifteen Ivor Novellow Awards, as well as a spot in the Rock and Roll Hall of Fame (inducted in 1988). Each of the Fab Four members (Lennon, McCartney, Harrison, and Starr) received individual inductions in the Rock and Roll Hall of Fame between 1994 and 2015. As a group, Time magazine listed them as one of the 100 most influential people of the 20th century. Yet The Beatles recorded just 24 studio albums, if you include Yellow Submarine and Magical Mystery Tour, which many die-hard Beatlemaniacs do not. In total, they produced 213 songs, 11 video albums, 6 live albums, and 54 compilation albums as a group, not including the many solo acts and compilations produced by its various members, which continues through today. Compared to Frank Zappa's 119 albums, Johnny Cash's 167, and Elvis Presley's 60, that isn't a lot. But the original sound and lyrics of The Beatles changed history and music forever. Few rock or pop musicians today produce anything that lacks at least some elements introduced by The Beatles. They've graced the #1 spot on charts in 35 different countries. But fame and glory, unfortunately, isn't the last chapter for all its members. 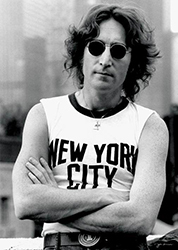 Lennon was senselessly gunned down by a security guard named Mark David Chapman on December 8, 1980, after autographing a book for his murderer. Apparently, Chapman (himself a guitar player and former fan of The Beatles) became angry with Lennon for saying The Beatles were, "more popular than Jesus." Having dabbled in religion, though apparently learning nothing from "love thy neighbor," Chapman latched onto the throngs angered with Lennon over his statement, firing a gun 5 times and hitting the husband and father 4 times in the back near his home in New York City. Wife Ono never held an official funeral for Lennon. Chapman confessed immediately (he stood there after the shooting and waited for the NYPD to arrive, holding his copy of Catcher in the Rye, which he claimed was his statement), and was convicted of the murder in 1981, delivered a sentence of 20 years to life. His ninth parole hearing in 2016 resulted in the board denying his request yet again. His next hearing is scheduled for 2018. Chapman is 62 years old. Lennon was 40. Though Lennon's tragic demise was certainly the most dramatic, The Beatles were touched by grief again when George Harrison succumbed to his battle with lung cancer in 2001 at the age of 58. McCartney and Starr remain as the only living original members of the famed Fab Four. Paul McCartney was knighted as "Sir" in 1997. He lives with his third wife, Nancy Shevell, in his hometown of Liverpool. He still records music and delivers sold-out live performances, in addition to his work with other musical acts. 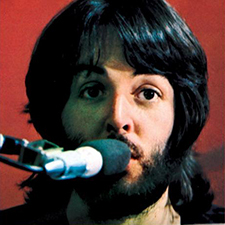 McCartney is 75 years old, as of 2017. The other living Fab Four, Ringo Starr (real name Richard Starkey), is 77 years old and also continues to produce music. He's released two singles so far in 2017 and continues to collaborate musically with McCartney, as well as other music legends like Joe Walsh, Dave Stewart, and Gary Nicholson. He and his second wife, Barbara Bach, split their time between properties they own in London and Los Angeles.